This exhibition of artworks aims to achieve a tension between the raw power of the wilderness and tranquillity in a natural landscape. The artworks include still snapshots of wildness, in the form of paintings, drawings, mixed media work, and original limited edition prints. 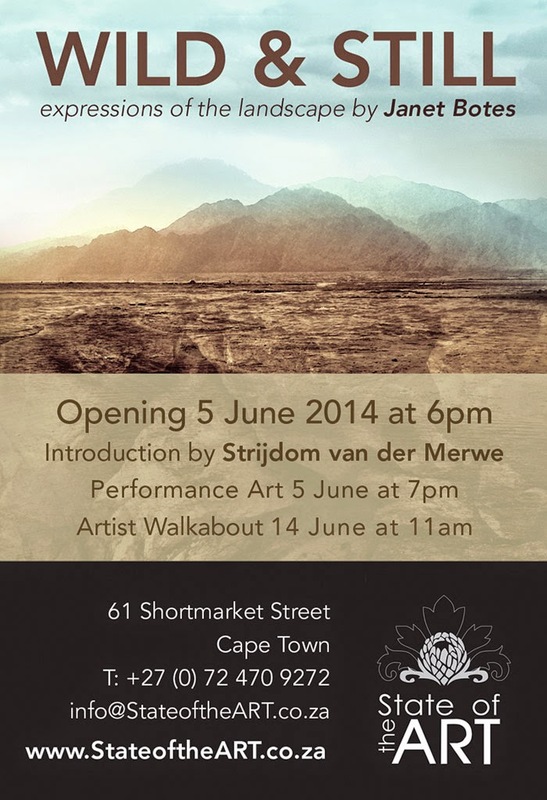 Hosted by www.StateoftheArt.co.za, located in the heart of Cape Town, between Loop and Bree street, and known for selling affordable original art by South African emerging artists. Featured in the diary of the Country Life!